When I’m reviewing a game, occasionally I’ll encounter one that I have every reason to love, but somehow those reasons don’t gel for me. The game will have a number of things going for it but for whatever reason it just doesn’t light my board. In those cases I do my best to judge the game by its objective merits; just because it isn’t my favorite thing doesn’t mean that it’s a bad game, or someone else won’t really groove on it. Windscape is probably the first time I’ve run into the opposite case. There are all sorts of things about this game that should annoy me, but it ends up being so more than just the sum of its parts, and the game’s earnestness and heart ultimately won me over. Windscape was developed by one-man-studio Magic Sandbox; its creator goes only by “Dennis” in the game’s description page on Steam. 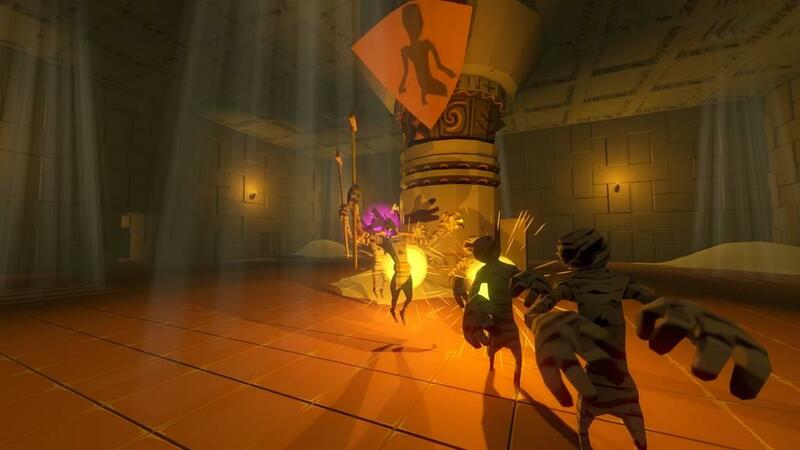 It has been in early access since 2016, and it’s finally entering the final stages of development and making a simultaneous release on Nintendo Switch. Dennis is upfront about his inspiration for Windscape: he describes a childhood playing Zelda, Golden Axe and Secret of Mana as his primary impetus for making his own game. I also suspect that he played a lot of the Elder Scrolls series as well, because if I had to sum up Windscape in one sentence, I would call it Wind Waker crossed with Skyrim. 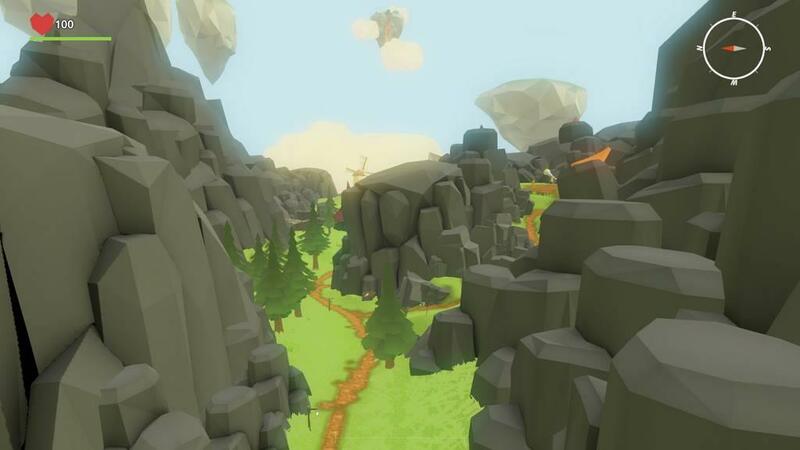 Windscape is a first person open-world adventure game set in a fantasy world. You play as a teenage girl named Ida, who lives a simple life on her parents’ farm, helping out with chores. Ida’s world is slowly breaking apart into floating islands, but that concern is comparatively far away from Ida’s idyllic life. One day Ida’s father asks her to make a simple delivery, and what follows is a deceptively spiraling set of errands and fetch quests that, before long, turns Ida into an adventuring hero. It really is that simple, in a quaint sort of way; one minute you’re making a delivery, the next you’re raiding a bandit-infested mine to recover some ore for a blacksmith, plundering a haunted tomb for treasure, and the next thing you know the king is asking you to be his special envoy to the desert provinces. I enjoyed how Ida basically blunders and “video games” her way into being the hero on a great quest; there really isn’t a Council of Elrond moment for her, one small moment just leads to the next. 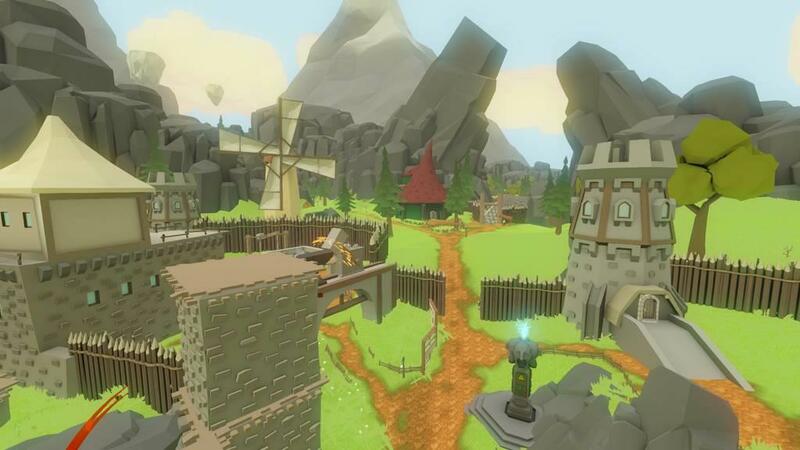 Windscape’s plot and quest arc feel a lot like a Zelda game, but the gameplay is a mix of a few things. 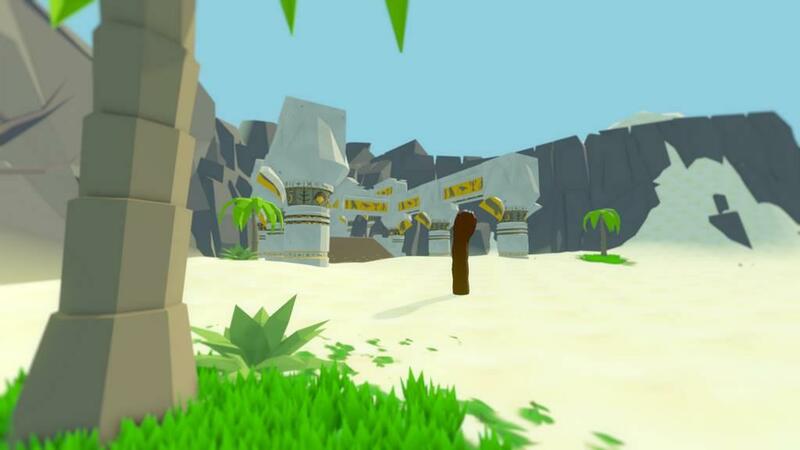 You explore each of the game’s four islands in first person, gathering materials and loot as you battle enemies with melee and ranged weapons and spells. Yes, there is an element of crafting here, but don’t let that scare you off. I was relieved to find the crafting was straightforward, intuitive and not at all grindy. 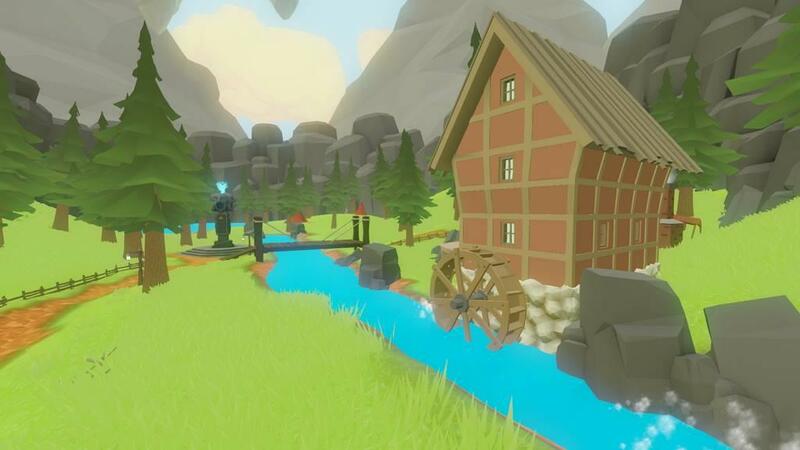 Each location has generic and specific materials; generic materials are used for cooking basic recipes and potions and making rudimentary weapons and armor. However, you can smelt certain ores into ingots, cook wood down into charcoal, and refine rarer metals and plants into stronger armor, deadlier weapons and more potent spells. To be honest it reminded me of Minecraft and the early days of crafting games, when figuring out recipes was an exciting and relatively painless part of your adventure, instead of a tedious, gameplay-padding layer of grind that shows up in every game whether it’s necessary or not. Windscape makes it integral to the gameplay—you don’t just find new weapons and armor, you have to make them—but you’re only ever one or two levels of resource refinement away from a useful item. Upon visiting a new area, my first instinct was to find the nearest campfire or workshop to see what new gear I could make and what materials I’d need. Ida isn’t portrayed as a brainless cave woman banging rocks together. You have the basic wherewithal to intuit basic recipes, so making something useful isn’t seven arbitrary resource-grinding steps long. This keeps crafting, and therefore gameplay, snappy and intuitive. 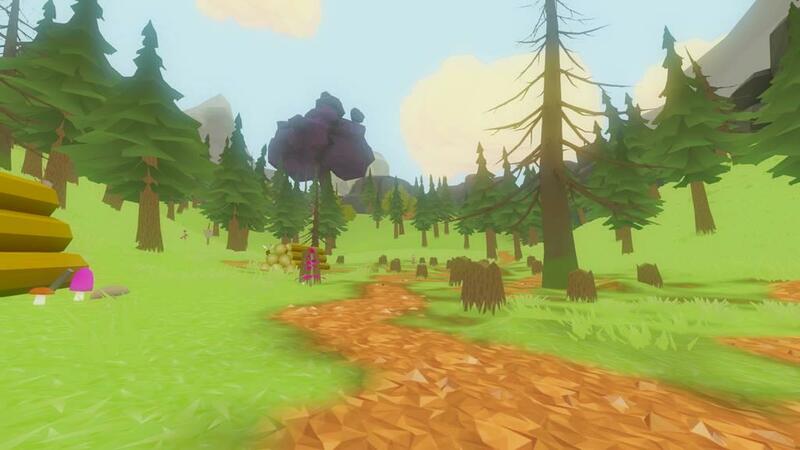 In fact, compared to many other open-world crafting games, Windscape is a fairly straightforward game…maybe a bit too much for its own good. There is very rarely any doubt as to what you need to do or where you need to go. 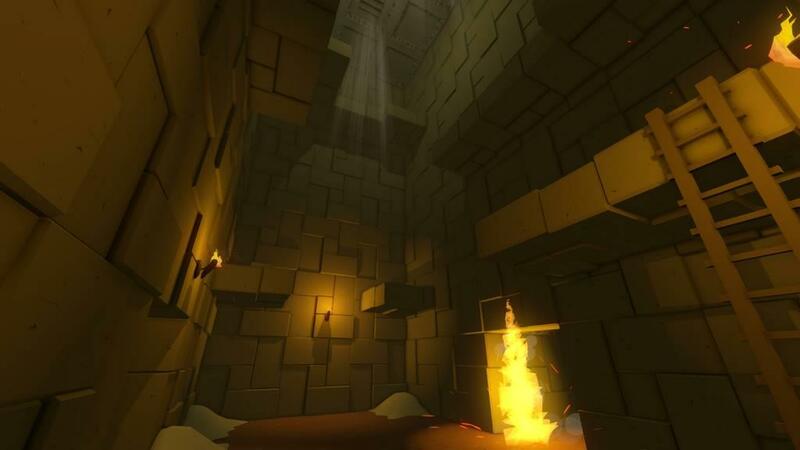 The game’s dungeons are a pretty standard affair of flipping switches, solving basic puzzles, clearing out bandits and monsters and finally killing the dungeon boss. Both the overworld and dungeons have a liberal quantity of checkpoint obelisks that both save your game and top off your HP automatically. Windscape is not a difficult game by any stretch, but then again, this didn’t really bother me. And like I said, this is weird, because in addition to being very easy, Windscape has numerous rough edges. I don’t want to be mean, but to be honest, this game qualifies as one big rough edge in and of itself. For starters, the enemy AI is hilariously spotty. 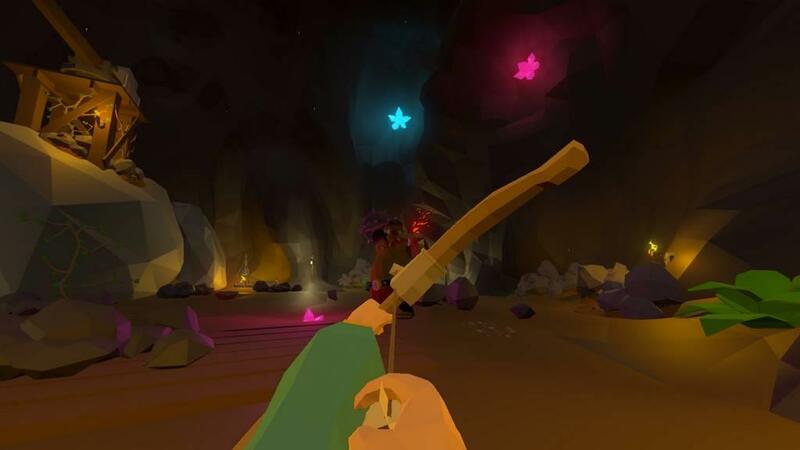 I would be fighting bandit archers that could nail me from across an open field, and then their sword-wielding buddies would get caught on some level geometry, helplessly running in place. Conversely, sneaking up on enemies is a cakewalk; it takes ages for them to notice you’re there unless you’re right on top of them, sticking a sword into their back. It doesn’t help that once you fashion a bow or cook up your first firebolt spell, you effectively have infinite ammo. You never run out of arrows or mana; you apparently just have a bottomless supply of both on hand at all times. This comes in handy during boss fights, as the bosses are bullet sponges, but against regular enemies, you’re basically a god. Again, Windscape is incredibly easy, but I don’t think Dennis intended for it to be difficult at all. Outside of combat, the game has other odd quirks. For example, your money total is displayed as an item in your inventory, and like every other item in your inventory, the stack only goes up to 99. You collect an absurd amount of gold in this game, enough to buy your peasant farmer parents their own floating magic island paradise, but once you hit that stack limit your money counter is basically “99 gold coins plus whatever else you’ve collected, I guess.” This doesn’t break the game, but it is an odd, amateurish little detail that gives Windscape this wonderfully earnest quality. Everything about this game feels like a freshman effort, but one that is bursting with love, sweat and tears. The art style is a perfect example. 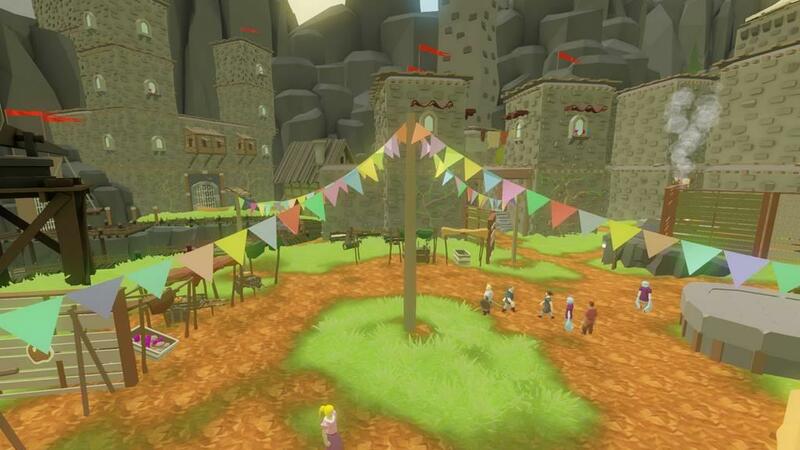 The game has a remarkably clean, vibrant cel-shaded fantasy look, once again like Wind Waker viewed through the eyes of the Dragonborn. 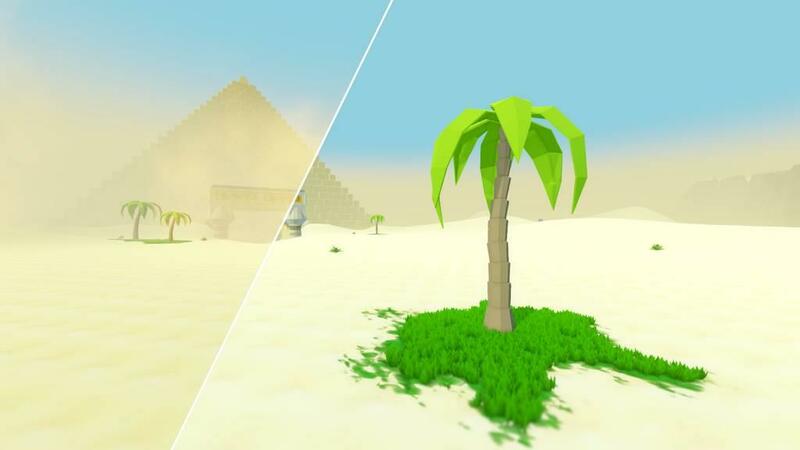 But the entire game is done in this low-poly, geometric primitive style, as if Dennis took that weirdly angular vegetable stew level from Super Mario Odyssey and decided to make an entire game in that style. This gives items and environments a charming mid-90s quality, bright and crisp and distinctive. However, characters and enemies also appear like they’ve been built out of distorted geometric primitives, so every character’s face looks roughly like the Master Control Program or Andross from original Star Fox on the Super Nintendo. It isn’t bad, per se, but it is rather jarring at first. In fact, one of my favorite quirks comes from this art style: when you kill an archer enemy, they will always fall to their knees while staring directly at you. No grimace of pain, no dramatic death animation, just their eyes riveted right to you in this hilarious “dude, seriously?” expression. It gets me every time. I don’t want to ramble on as if this game is only worth playing ironically. Frankly I hate that kind of smug, pretentious crap attitude and it doesn’t even apply to Windscape, because there are glimpses of brilliance here. The art style and gameplay aren’t top-tier but they do create a world that is always pleasing to inhabit and genuinely relaxing to explore. I want to make special note of the music, which is fantastic for a small-budget project like this. It’s a mixture of synth and orchestra that fits every setting beautifully; I was really taken aback by how well the soundtrack was tailored to the environment and dynamically implemented. It reminds me of C418’s score for Minecraft, but even more adaptive to gameplay. Does Windscape have its problems? Sure. It crashed on me once. The framerate dips a bit too low fairly often. In the first dungeon, a three-stage final boss door let me waltz right on through, even though I hadn’t flipped all three of the unlocking switches scattered throughout the dungeon, effectively letting me skip a huge chunk. Combat could be tighter, and certain HUD elements, like the status bar above enemies that shows their HP and elemental weaknesses, could be implemented a lot better. Windscape still has many, many rough edges, but nothing game-breaking or so distracting or annoying that it kept me from having a good time. I always try to review games with an emphasis on value, context, and how much fun I had playing them. I had a lot of fun with Windscape, and for a $20 indie title made entirely by a single guy, it’s damn impressive. 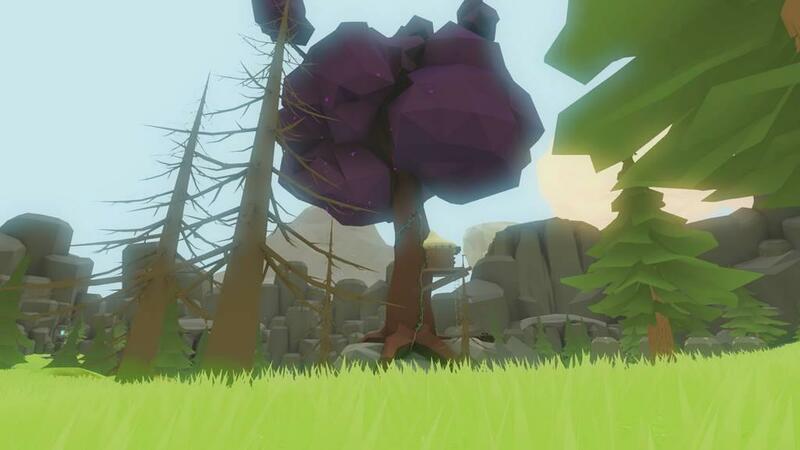 I’m not sure why, but the entire time we were playing this game, me and my wife kept getting reminded of No Man’s Sky, another indie title made by a small team. That game shot for the moon but drowned in its own hype and undelivered promises. Its dev team still bills it as a “chill game,” but for me anyway, it’s been anything but. It suffocates under endless grind and superfluous systems, precariously stacked on top of each other. Windscape has its problems, but it legitimately is a chill game. 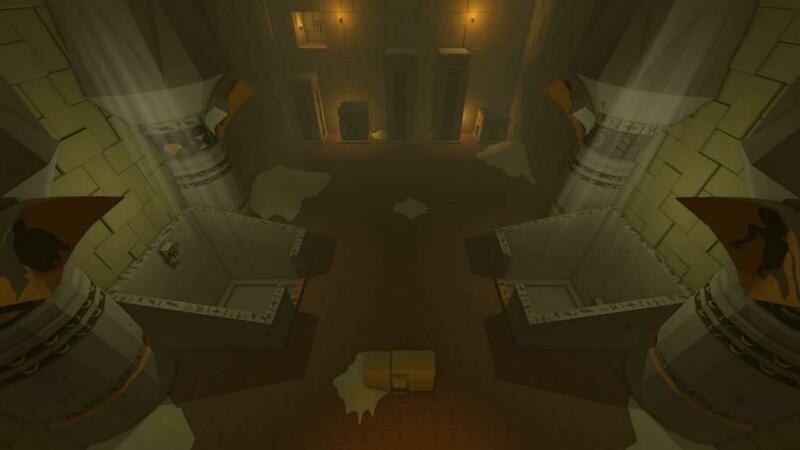 When I was playing it, I wasn’t worrying about inventory space or running out of stamina or getting lost or too far away from my spaceship. I was exploring, curious to see what Windscape had waiting for me over that next hill or down into that next dungeon. That’s a pretty rare feeling. In closing, I want to give Windscape my honest recommendation, but also my hope that this mysterious Dennis of Magic Sandbox studios continues to polish his passion project. I don’t want to criticize; rather, I would jump at the chance to offer my suggestions on how to improve Windscape, and generally geek out about how cool and ambitious this game is. 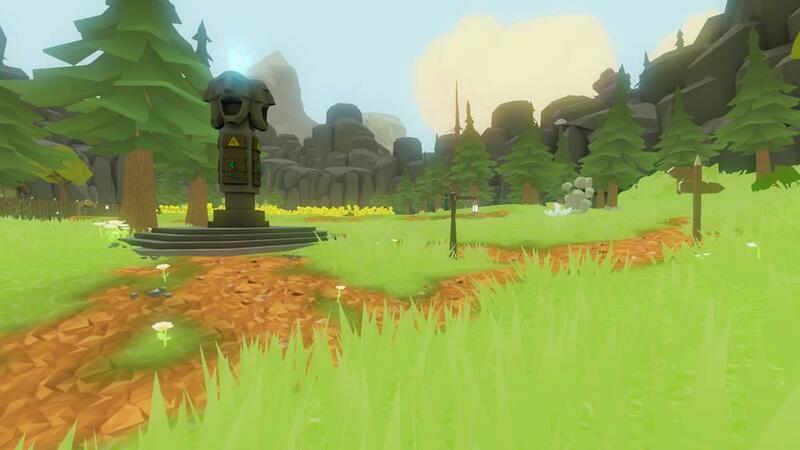 As it stands, Windscape is a fitting amateur tribute to Zelda and Elder Scrolls. If you’re looking for a heartfelt little adventure with surprising depth and a relaxed, welcoming attitude, Windscape is well worth checking out. Windscape has its rough edges, but the scope, ambition and heart of this one-man passion project help it to punch above its weight class. 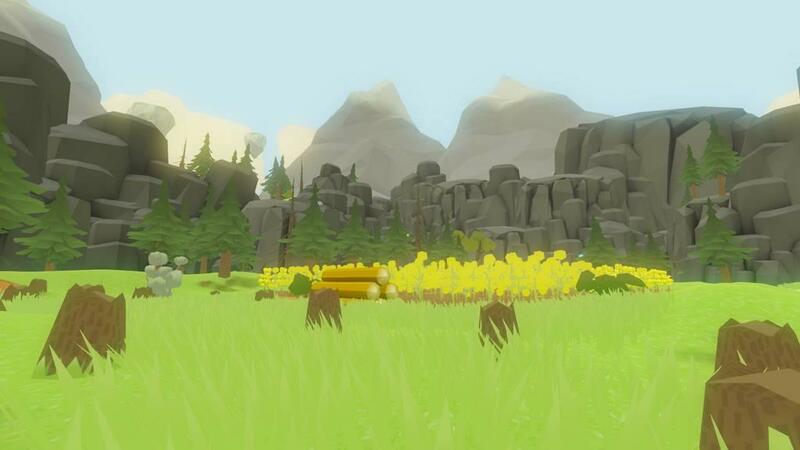 If you want a Zelda or Skyrim-style game that’s great for relaxing after a long day, Windscape fits the bill nicely.